Hello Sir, welcome to Writer's Destination. I am Eshan your interviewer and today we will look into your career and life as an author. I hail from a small suburban town Dausa, Rajasthan which 50 km far from Jaipur. I pursued bachelor and master degree in business administration from the University of Rajasthan. Currently, I am a full-time govt. employee in Department of Information Technology and Communications Govt. of Rajasthan. Apart from this, script writer-author-social theorist as well. Emotions always induce me to write, as keen to penning emotions to surface. Nothing comes on your safer side or comfort zone. It is hard to write while you on your daily full-time job routine. But no one can stop you to achieve your goal whatever be the circumstances. When I was at 12th standard my first write up. But I started professional writing since 2013 as a script writer. Having done job on plotting over a year, another 10 months to write the book. It depends on nature of story and plot. And of course your obsession. Q5. How did you begin writing? Did you intend to become an author, or do you have a specific reason or reasons for writing each book? I started as a scriptwriter for short films, feature films. But something was there in my mind for being a published author. As I mentioned earlier for me emotions leads to writing. Q6. What inspired you to write your first book? Socio-economic emotions, Youth dilemma and social entrepreneurship. Q7. Please tell us something more about your upcoming book? Q8. What do you consider to be your best accomplishment? 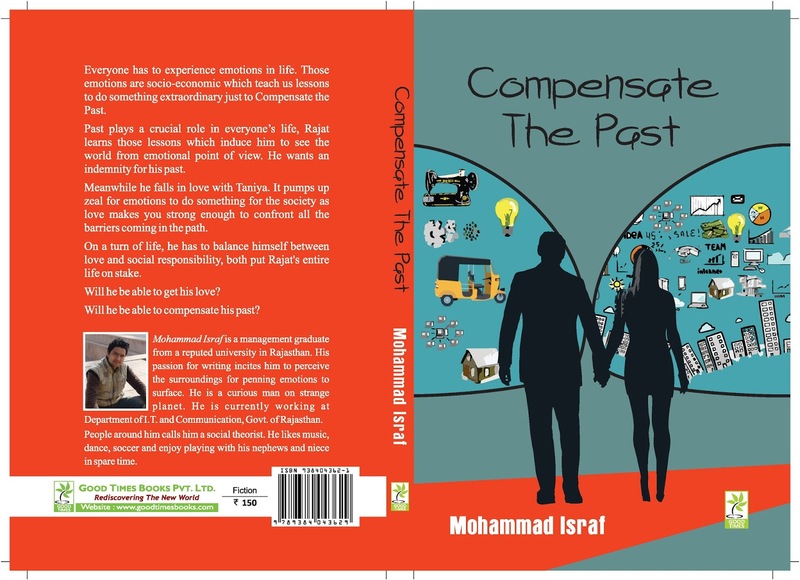 Being a published author that induces me to go ahead in writing word consistently. Q10. What was the hardest part of writing this book? As I wrote in the first person, it is hard to narrate every character’s impulsion at the right way. Rest plotting plays a vital role in story building which I have been used to for many years. Q11. Let me now ask something about myself, how was the interview?? Something you want to say about me? I really appreciate to the point questions and of course a humble host who keen to know every aspect of authors journey. Q12. What do you like to do when you're not writing? I am a story lover. I like watching movies. Always obsessed with storytelling. Q13. Can you share a little of your current work with us? 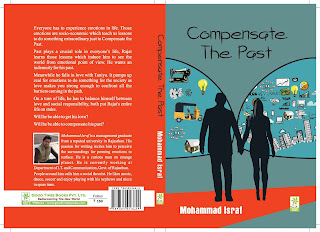 Compensate The Past is a socio-economic, love drama fiction book. Story pours immense emotions as we human beings have to experience in our past. Those emotions induce us to do something extraordinary just to compensate the past. Social and economic factors always induce me to observe surroundings; those create conflicts in everyone’s life consequently that inspire us to make a resolution just to compensate the past. Q14.What is the biggest surprise that you experienced after becoming a writer? Getting attention by mass and immense love, respect as well. This is my earnings. Need must be fulfilled. Whether it may be conflict, resolution, character or plot. Q16.Do you have anything specific that you want to say to your readers?